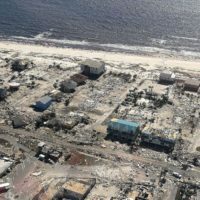 Opportunity Zones Emerging in Hurricane-Ravaged Panama City Beach | Insurance Litigation Group, P.A. On June 22, 2018, the U.S. Treasury announced exciting news for investors, publishing the approved list of qualified geographic sites for the new Opportunity Zones covering all 50 states. Florida has 427 Opportunity Zones on the list – creating areas in every Florida county upon which improvements may be developed using this new tax incentive. In Panama City Beach, this could yield huge business investment in Florida Panhandle areas that have not enjoyed the same business resurgence as the rest of the state since the recession of 2008. This is particularly welcome in an area that has been devastated by Hurricane Michael. While some property owners received fair compensation for their storm damage, tens of thousands have found it near impossible to pay to rebuild their homes properly. Insurance Litigation Group and its highly experienced team of property insurance attorney attorneys and claims consultants, is currently working with many homeowners who thought it was impossible to fight their insurance companies to get fair compensation for their Hurricane Michael home and business damage. All it takes is a call or email to have ILG’s qualified Hurricane damage insurance experts review the policy, claim and property damage to provide a proper assessment on either reopening the Michael claim or submitting a supplemental claim. PANAMA CITY, Fla. (WJHG/WECP) – Panama City officials are hopeful the three designated opportunity zones in the city limits will get more investors to help stimulate the economy. Florida Opportunity Zones nominated by Florida’s previous Governor, Rick Scott, were certified by the U.S. Department of the Treasury in June. The zones in Panama City are in the Millville area and downtown Panama City. Tax incentives are also granted to investors that make investments in opportunity zones. This could bring new jobs, more affordable housing, and new business to the area.